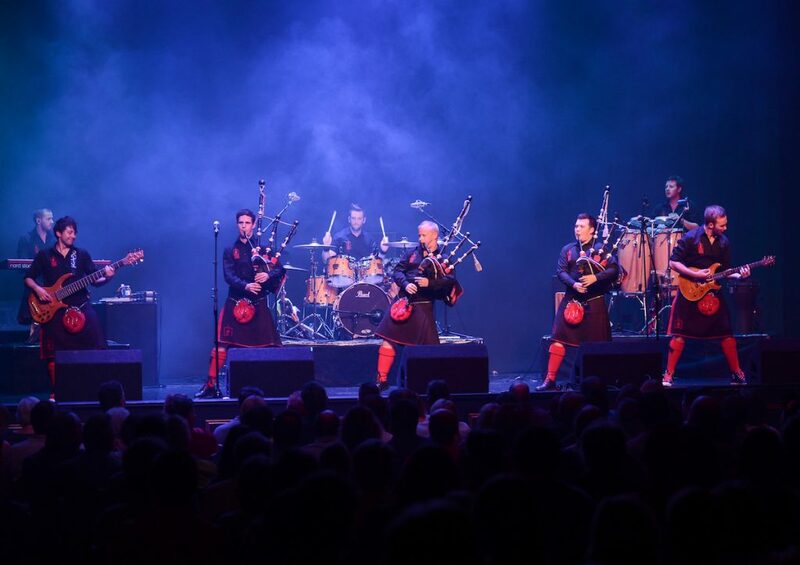 Bagpipes and drums bringing together attitude with a Scottish accent, the sultans of bagpipe will be back performing in the USA. The band’s achievements have reached incredible heights with their groundbreaking fusion of traditional Scottish music and rock/pop anthems which they proudly call ‘Bagrock’. Great news for everyone who likes a bit of tabasco with their bagpipe music – the Red Hot Chilli Pipers are back for a 5 gig tour. The band was formed in Scotland in 2002. They entered and won the BBC talent show – “When Will I Be Famous”, hosted by Graham Norton. Notable cover versions performed have included “We Will Rock You” by Queen, “Clocks” by Coldplay and “Smoke on the Water” by Deep Purple. The band gained a Gold Disk for over 100,000 UK sales of their first album – ‘Bagrock to the Masses’. Albums have included: Bagrock to the Masses, Music for the Kilted Generation, Blast Live and Breathe. Triple platinum album status for the third album and DVD – ‘Blast Live’. The band has over 230,000 Facebook followers! Gained 3.5 million views on YouTube of their viral cover of the Avicci track ‘Wake Me Up’. Chilli Dancers include former World Champion, Rachel McLagan and former Scottish Champion, Emma Lowson. Founder and Music Director Stuart Cassells received ‘BBC Radio Scotland Young Traditional Musician of the Year’ in 2005 and became the first person ever to attain a degree in bagpipes from the Royal Scottish Academy of Music and Drama. Stuart has since left the band – to take up another great job, as General Manager for The Famous Grouse Experience. Appearances at major national events include: BBC Proms in the Park, T in the Park, The Commonwealth Games, The Bahrain Grand Prix, The Rugby World Cup, US TV Documentary during NBC coverage of The Olympic Games. Sell out tours, gigs and festivals in UK, USA, China, Australia, New Zealand, Germany, Denmark, France, Spain, Luxembourg, Belgium, The Netherlands, Portugal, Switzerland, Ukraine, Barbados, Dubai, Bahrain, Saudi Arabia, Qatar and India.